There are plans in the works to name a Moscow street after veteran rights defender Alexeyeva, according to human rights ombudsman Vladimir Lukin. Veteran human rights activist Lyudmila Alexeyeva took aim at President Vladimir Putin as she celebrated her 85th birthday at a Moscow cafe Friday in the company of about 200 guests, including well-known rights activists, politicians, economists, Russian and foreign journalists and family. Mentioning 1968 student riots in Europe and the United States, Alexeyeva offered thinly veiled criticism of Putin’s repressive policies toward the political opposition. “Democratic Western countries … had the good sense to understand that repressions don’t solve problems but only aggravate them,” Alexeyeva said during an hourlong speech on the development of human rights in the Soviet Union, Russia and Europe in the 20th century. At the start of the birthday party, Alexeyeva sat in a chair on a small wooden stage piled with bouquets of flowers at the Zavtra club on 26/1 Ulitsa Sretenka outside the Sukharevskaya metro station. She greeted guests one by one as they waited in a line. Many bent down to hug and kiss her. Because of the large number of well-wishers, the birthday celebration opened half an hour late, with a three-minute video showing Alexeyeva giving an interview about her activities. “Our state is cruel to dissidents … [but] I will keep saying what I think,” Alexeyeva said from the screen. Putin, in a statement posted on the Kremlin website, offered his congratulations to Alexeyeva, a prominent Soviet dissident who co-founded the Moscow Helsinki Group in 1976. “Your educational and scientific activities deserve deep and sincere gratitude,” Putin said. Some guests praised Alexeyeva in interviews with The Moscow Times during the birthday celebration. “Alexeyeva’s main achievement is that she integrates two epochs, the Soviet and the post-Soviet ones, while remaining devoted to her principles,” said national human rights ombudsman Vladimir Lukin. “Alexeyeva, by being an outstanding and conflict-free person, has managed to unite various rights groups into one community,” said Lilia Shibanova, head of elections watchdog Golos. 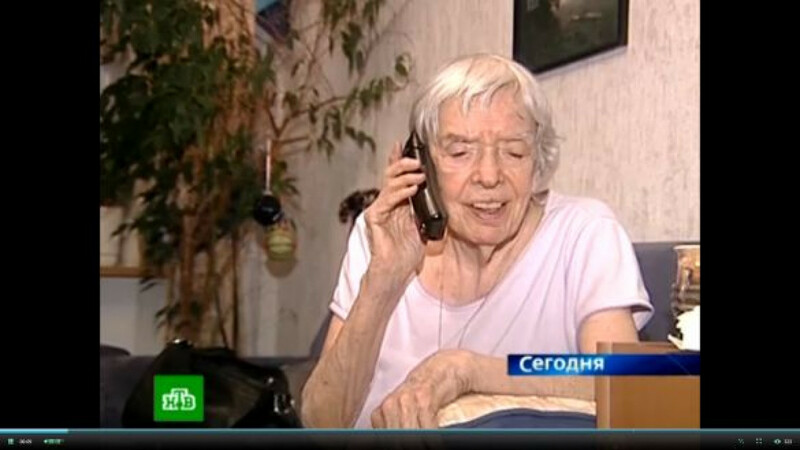 Renowned economist Irina Yasina called Alexeyeva “one of the few authorities in our country” and said she knew that many rights activists and scientists were turning to her for help. Other guests included Lev Ponomaryov, head of the For Human Rights movement; Yelena Panfilova, head of Transparency International Russia; Alla Gerber, head of the Holocaust Foundation; prominent lawyer Genri Reznik; Yabloko leader Sergei Mitrokhin, satirist and political analyst Viktor Shenderovich; and economist Alexander Auzan.